Much of our nations stained glass is quickly approaching its 100th anniversary, yet much of this glass has not been cleaned or repaired since the day it was installed. With proper maintenance, repair or restoration, you can preserve them for years to come. 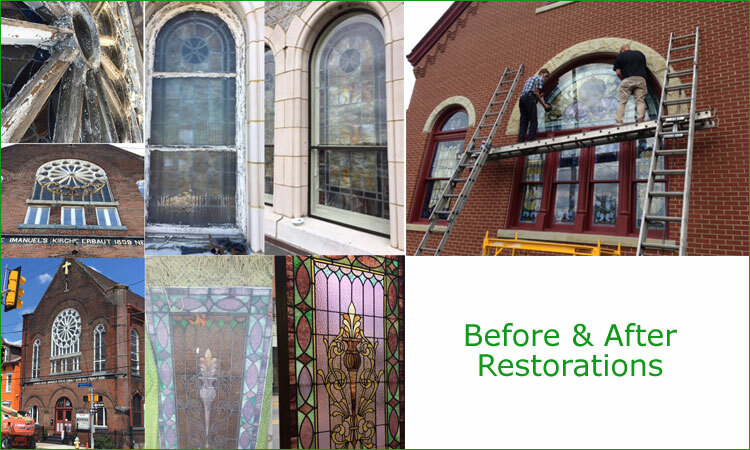 Stained Glass artistry repair and/or restoration is a specialized field that requires highly trained and experienced craftsmen. Williams Stained Glass Studio is a full service studio, providing service to residential and commercial clients, as well as churches, synagogues, and other institutions since 1984. 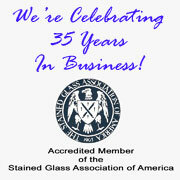 We are a fully accredited member of the Stained Glass Association of America and follow the guidelines for the conservation of artworks, architecture, and cultural artifacts as established by the United States Secretary of the Interior's Preservation and Repair of Stained Glass and Leaded Glass, the American Institute for Conservation of Art's Guidelines and Standards for Restoration and local landmarks laws. As a full service studio, we repair broken or bowed windows, door panels, sidelights, transoms, hanging panels, protective glazing, Tiffany style shades, bent glass shades and custom bevels. We can also retrofit your existing leaded glass to fit into new windows.